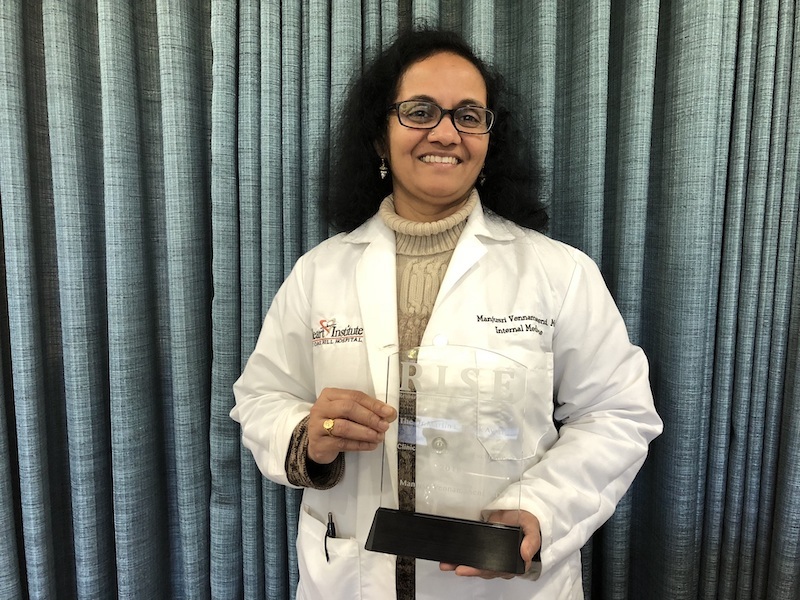 Access Health Care Physicians, LLC, proudly announces that its Chief Medical Director, Manjusri Vennamaneni, MD, was recently awarded the 2018 Martin L. Block Award for excellence and innovation. The award was presented by the RISE Association. The RISE Association supports healthcare professionals who aspire to meet the challenges in the ever-changing landscape of accountable care and healthcare reform. "Access Health Care Physicians LLC is proud to have Dr. Vennamaneni as one of its physician leaders. Over the last 12 years she has helped our organization reach new heights in compliance and quality with compassion and dedication," said Pariksith Singh, MD, CEO of Access Health Care Physicians, LLC. “She is loved by her patients and admired by her team members. Her recognition is long overdue and honors her long and accomplished career as a doctor and medical executive,” he added.